This process is really fun! 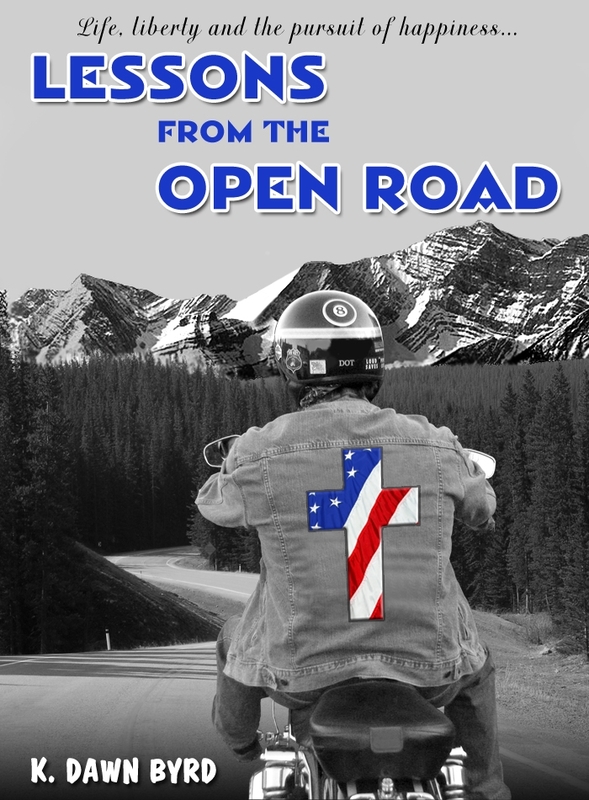 I simply asked for comments, and in they flowed, like a river winding its way through my blog. This experience has convinced me that we all have a need to share our experiences with someone else. It validates us and provides an external mirror to view our thoughts and beliefs. The sharing also allows us to give to someone else what our experience has taught us. A bond is shared, almost like a power cord, if only for a moment in time. Just imagine what would happen if the combined experience and intelligence of 7 billion people were to focus on the same thing! Please keep sending your comments. The following are wonderful insights that I received – enjoy! I write to make sense of my world, the things that have happened to me. I write for my own sanity. For me, as you, recognition is “not” why I write. I write because there’s some unseen force within me that seems to make itself known when I go through this process. At times I can’t even believe what I’ve written! It’s like God is talking to me through the words that often pop onto the page. My responsibility is to drink it in, and share it with whomever crosses my path that needs the same message. I may never write an official blog, or have a book published …but the pages of my journals count for something deeper – at least to me. Perhaps they’re meant for my family who will inherit them when I pass from this life. Perhaps they’ll be donated in a garage sale ..and a stranger will read a line that will speak some word that is needed. To me, it’s fun and inspiring and encouraging to think these thoughts and go through the exercise. That’s why I write. 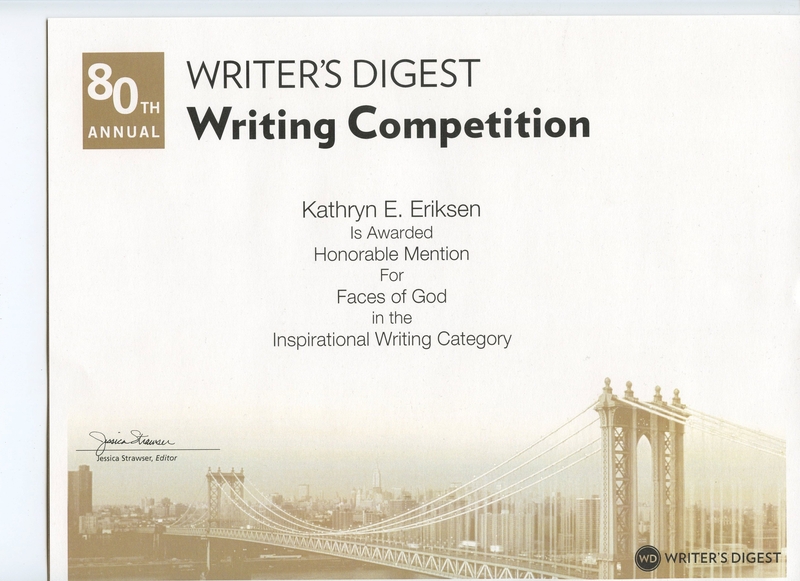 Several months ago, I submitted an inspirational short story to a writing competition sponsored by Writer’s Digest. The grand prize was $5,000 but I won an even bigger prize. I had forgotten about the contest until I received a large envelope in the mail (have you ever noticed that good news always comes in the form of large envelopes?) I had no idea what it contained because the contest was tucked far back into the recesses of my mind (believe me – there are many). Now, I am normally a fairly reserved person. But I have to admit I felt a surge of excitement flush through my veins and my feet did a celebatory two-step. There may have been an arm pump or two…I am sure that you get the picture. Anyone who shares their thoughts, ideas, feelings through writing should be nodding about now. Recognition is something that is hard to come by, but so sweet when it drops into your world. It provides the fuel to continue your path, sharing your journey with the world. But is recognition the ultimate goal of any writer or blogger? It can’t be, because so many continue to share themselves even though the audience is silent. Do we write for recognition or do we celebrate when it comes our way? Which comes first – the urge to share or the need for validation? I don’t know about you, but I write because that is the best way for me to process my world. My thoughts become focused and my intention clear when I can express myself on paper (or in cyberspace). The mental chatter that plagues me at times is held at bay as my fingers fly across the keys to paint the words before they disappear from my awareness. My world makes sense, if only for the moments I spend expressing myself. If you share this same compulsion, would you be so kind and send me a note about your experiences? Which came first – the compulsion to write or the need for recognition? Although the comments made about this blog are public and available for everyone to enjoy, I will take it one step further and compile the comments into another blog post. Be sure to include your blog, website and facebook URL in the body of your comment. I will gladly give you my recognition and acknowledgment of your bravery, honest and courage. Blessings!